Have Baby Boomers ruined the economy for millennials? Boomers are the worst, right? There’s a widespread belief among young people that it is baby boomers who caused millennial poverty. Is the fact that millennials are poorer than their parents caused by boomers? Let’s find out. Millennials are poorer than the generations before, something unheard of before. What is the reason? Ryan of McMacke of Mises Institute argues it’s the monetary policy. Many millennials entered the labor market after the Great Recession. This meant that they’d spend the first couple of years working for a tiny salary, something that is connected with failing to accumulate wealth later on. Why did the Great Recession happen? It’s a combination of factors, but the government giving out bailouts to banks is sure one of them. Banks gave out more risky loans, and the whole thing collapsed. Relying on the government to foot the bill is one of the Boomers’ inventions, as you will soon learn. 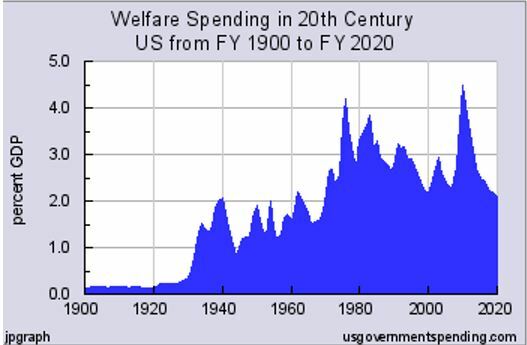 Look at how national spending on welfare changed over the years. It used to be a flat line right until the 1930s. But spending never stopped. If anything, it grew even larger in the 1970s and 1980s. While welfare programs are a good thing since they help the poor live by, somebody has to pay for them. Did Boomers pay for the programs that they voted for? Nope. Most of that enormous spending was funded through debt. 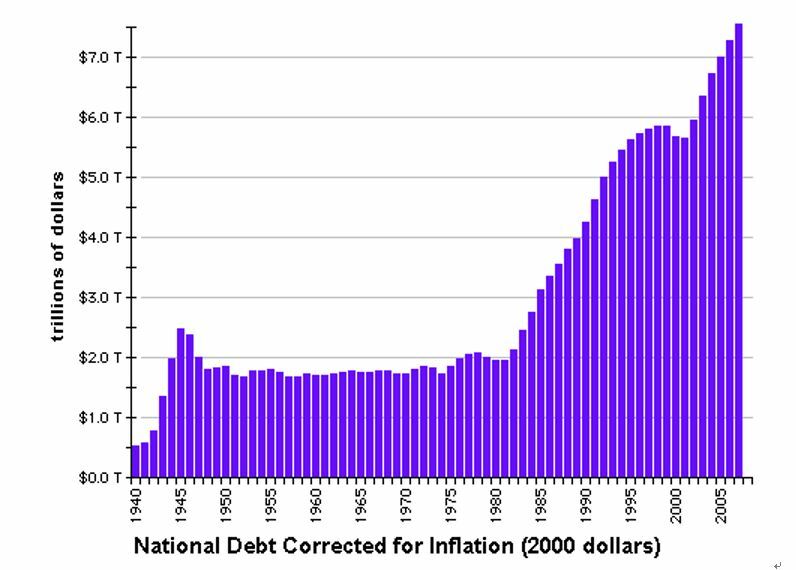 This old graph shows how national debt grew steadily from the 1980s. The bad news is the failed strategy of overspending is driving the country in debt right now. Most of the debt is spent on social services, a moral but very expensive cause. When a boomer entered a college, it was cheap and promised them employment straight out of college. College wasn’t quite as common as nowadays. Only 15% of men and 8% of women in the US had a college degree in 1970. The number was up to over 30% for both sexes in 2018, Statista reports. In a world, where a college degree alone is not going to give a killer resume, why do we pay significantly more? Why do young Americans start their careers with tens of thousands of dollars in debt? It’s because of government spending, Daniel Kowalski of FEE argues. The problem with student loans is the same as with what caused the Great Recession. When a government backs a certain type of loan, more people will take it, and more banks will accept applicants they otherwise wouldn’t. With so much government money around, universities are raising tuition cost. Have you ever worked a low-skill job in college while asking someone “can you do my assignment for me?” The odds are, you’re going to keep it to pay for your student loan. What? Why can’t you just get a job? Because of internships. Internships are ruining the country. If you want to work in journalism or accounting, the odds are you’ll have to intern in order to get hired. In many companies, it’s free. This is because of how low the standards of the universities have fallen. It seems like they’re not concerned with selling students marketable skills anymore. No wonder employers want to hire people with more experience. But what this means for a young person is that finally getting a good salary is postponed again. A boomer could buy a house and a car from their first job after college. If you do find your job straight after college, the odds are you won’t be able to afford to rent an apartment in LA, let alone buy a home. One of the millennials interviewed by the Guardian said that owning a home is “a dream.” With the ridiculously high prices on the market, it very well may be a dream. A ruined American dream. Is it all over for us? So, our spending was nothing but growing for the last 60 years, our national debt is larger than GDP. Does this mean that baby boomers actually succeeded in ruining the economy and we may as well let the place burn? Not exactly. The thing is, it’s not baby boomers per se, rather, it’s the spending and government handouts that are ruining the economy. Wonder where the country is going to end up if this continues? You’ve seen the graphs, so you do the math. Millennials and Gen Z were not the ones who caused the economy to follow the wrong path, but we are the ones who can change it.